The comparison summaries of all schools in our program are listed below with links for more detailed information on each of them. These specialty boarding schools for troubled teens, pre-teens and young adults utilize behavior modification protocol and communication skills taught by trained staff to promote harmonious family relationships, healthy emotional development, self-esteem, good citizenship and social skills. The proven concepts utilized in these programs consistently help lead to emotionally stable kids and improved academic achievement. Our teen school programs handle students from ages 13-18 yrs. but acceptance of 18 yr. olds is only in special circumstances because of the legal adult age. We also have a ranch-type program for 7-14 yr. olds at Old West Academy. Schools utilize proven behavior modification protocol and a structured daily schedule. This is combined with emotional growth materials/seminars, and powerful daily group feedback sessions. All of the schools are fully accredited and all have a versatile academic program that can be adapted to the abilities of the student. The RTC program at Red River Therapeutic Boarding School has licensed adolesent and/or family therapists on staff, classifying it as a true residential treatment facility when serious individual therapy is desired. This is valuable option for any troubled teen and offers all of the benefits of the other therapeutic boarding schools. Old West also offers individual therapy from non-staff consulting therapists, but this is only done as an extra cost option as necessary. You may take confidence in the fact that if the school you select doesn't best fit the actual needs of your son or daughter, the staff there will ultimately let you know and may recommend transfer to a more appropriate associated program to help your teen. This is a results-based program and although all of our schools are successful with many different types of cases, sometimes a different environment works better for an individual student. This would only be suggested after a sufficient trial and concerted effort has been utilized at the initial school of choice. WARRANTY: All students who meet the criteria for successful completion from any of these facilities may be re-admitted to the Program for at least 30 days with free tuition if he or she should slip into old attitude or behavior patterns prior to the age of 18. Red River School in Southern Louisiana is a therapeutic boarding school and treatment center for girls and boys ages 13-18 yrs. Under the RTC provision of this school, students undergo regular individualized therapeutic counseling from licensed therapists on staff at the school as normal program protocol. The program is a powerfully impacting treatment option because the individual therapy and daily group feedback sessions are standard as are a series of highly motivational emotional growth seminars (Teen Accountability, Self-esteem, and Keys to Success). This is in conjunction with an accredited academic program, a proven behavior modification program and a structured daily schedule. Red River School has a long tradition of success. 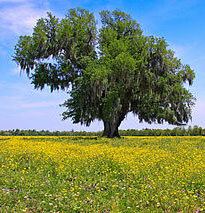 The facility is located in rural southern Louisiana, near Avery Island. Old West Academy in Utah accepts boys and girls ages 7-14 yrs. Old West Academy is located on the beautiful and peaceful 2,000 acre working ranch. The ranch setting is conducive to encouraging positive changes and provides an excellent opportunity for the students to learn responsibility by assisting with ranch duties. Children help with calving, lambing, caring for cows and sheep, and other ranch activities. The child's insight, awareness and perspective is broadened while participating in these meaningful processes. The program is designed to help young people build character, acquire self discipline, develop stamina, increase self esteem, gain respect for others, and develop an appreciation for the simplicities in life. Old West Academy is located on the Utah side of the Wyoming and Idaho border in a rural community. 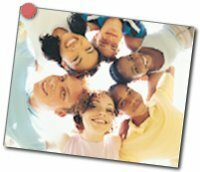 The staff focuses on helping preteen and early teen children whoe are experiencing conduct and behavior problems. If you feel you need to speak to someone right away, we recommend you contact Dina Dalton, our Family Crisis Intervention Counselor by calling 1-800-429-5922. Say you were referred by TeenPaths and your call will be handled immediately. True re-enactment about a teen who succumbs to the pressures of girl culture, desires to be popular, and ends up a drug user. She then finds the help and support necessary to change her path, regain her self esteem and make working choices in her life. The script for this movie was actually written by the teen who was lost and found her way back. -- To top it all off, she portrays one of the teens in the movie.